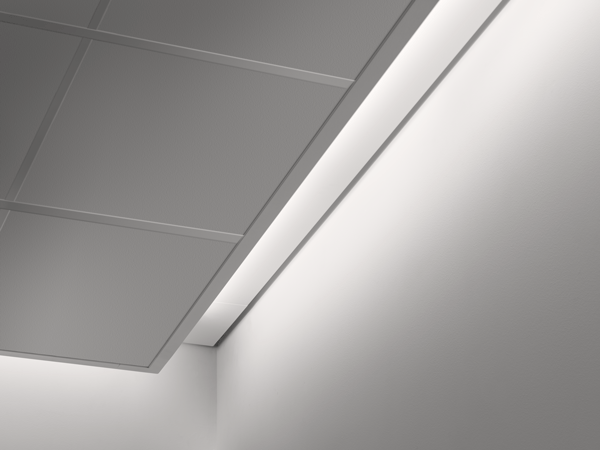 Low profile perimeter slot LED luminaire for shallow plenum grid or drywall ceiling applications. 6" aperture with concealed light source creates the appearance of a floating ceiling while illuminating walls adding depth and visual interest. 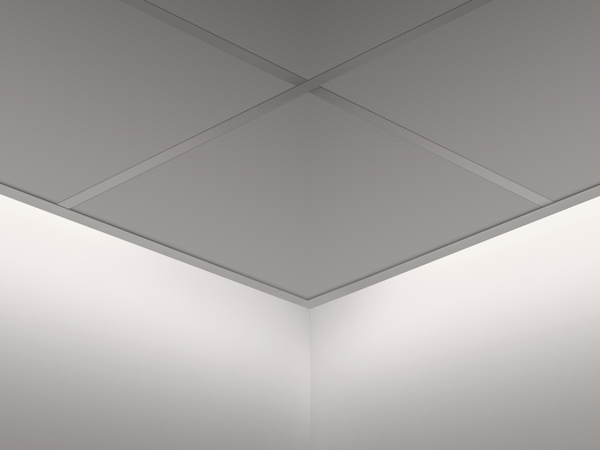 The rough-in housing, separate snap & lock LED light module and integrated sliding sleeve allow for easy and precise installation. 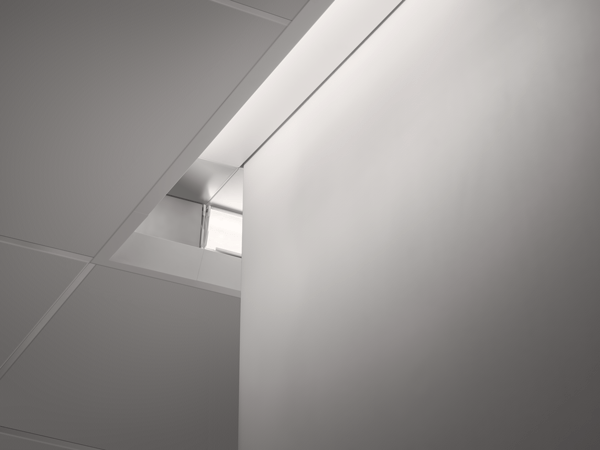 Precise configuration of LED light module and housing provide shadow-free wall-to-wall illumination in runs and corners. 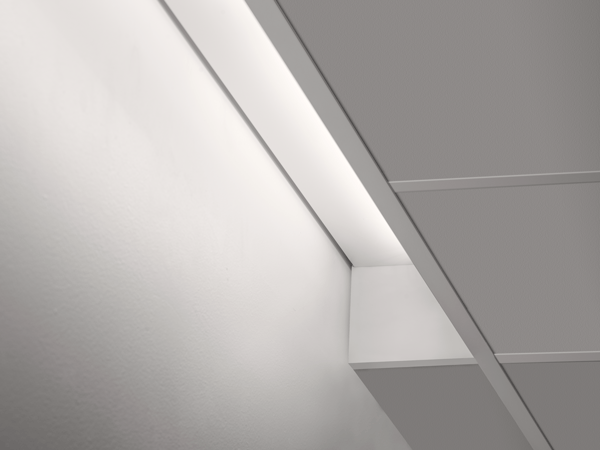 Concealed LED module creates seamless lines of light to provide the perfect blend of high performance and visual comfort. 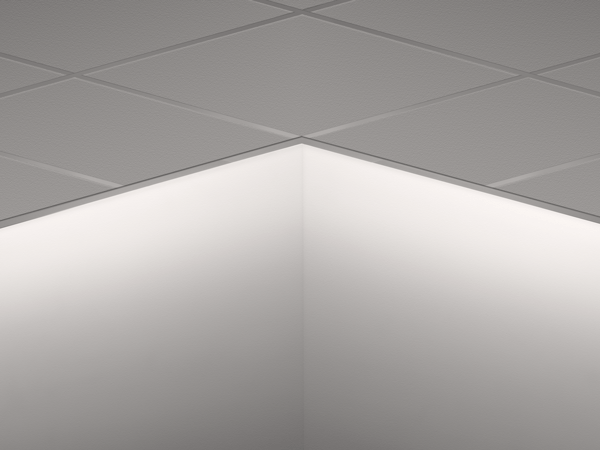 Supports infinite runs or pattern configurations with 90° inside and outside corners. 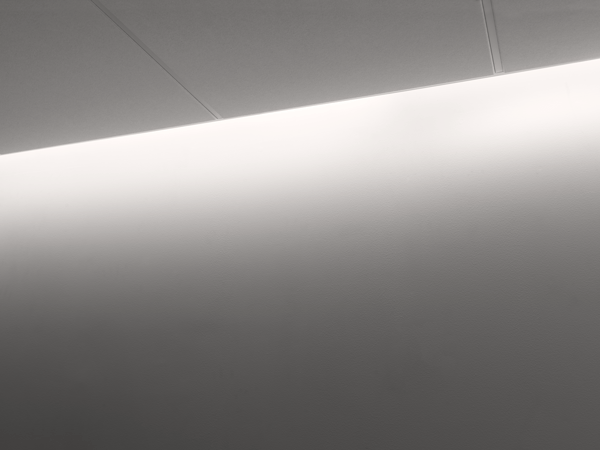 Create a glowing transition between ceiling and wall in corridors, elevator lobbies, reception areas, conference rooms and offices.